The Multi Layer range has been produced to provide a super low profile GSM intercom. At just 26mm deep, this stylish panel will fit into any environment. The downward facing microphone stops any possible water ingress and the internal I/O board which houses the relays can be mounted externally, offering optimum security. The range comes with an LED down-light in the hood of all surface mounted models as standard and the keypad can be re-programmed to 1 of 7 different colours. 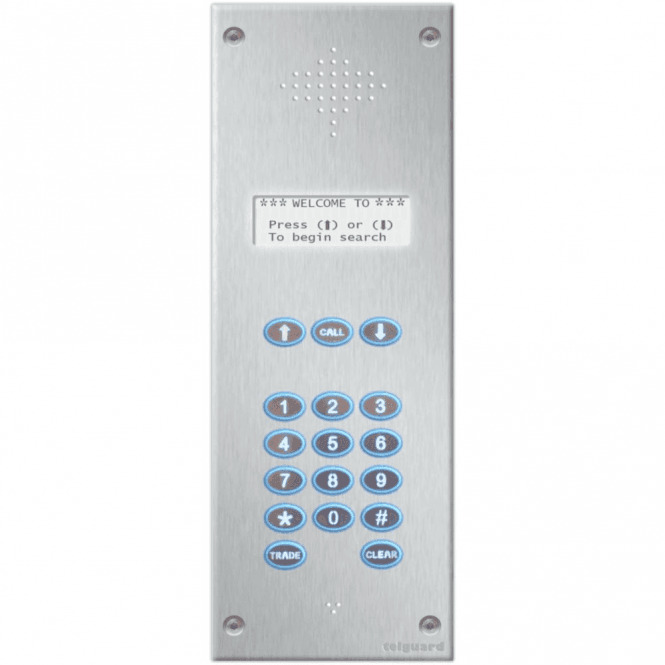 With an IP 65 rated keypad and 316 marine-grade stainless steel buttons and metalwork, this system has been designed to really stand the test of time. The ML range also features an innovative word-association SMS programming platform, for fast and intuitive assistance at any time of day. Up to 30 users, backlit LCD screen with backlit coded entry keypad, timed trade button and SMS alerts.